BTIG analyst Richard Greenfield slashed his price target on Snap Wednesday to just $5 — more than 40% below its already depressed share price. He recommended investors sell Snapchat parent Snap (SNAP). He wrote in a report that he was “tired of Snapchat’s excuses for missing numbers.” Greenfield said he’s no longer willing to give management time to figure out how to make money from Snapchat. Wall Street is increasingly nervous about Snapchat’s future because of intense competition from Facebook’s (FB) Instagram, which has routinely copied popular Snapchat features and wound up gaining more users in the process. Snap’s stock fell nearly 10% on the news to about $9 a share. 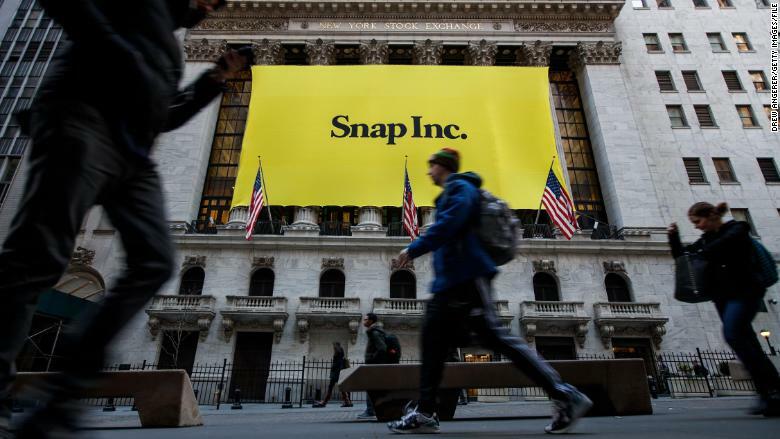 Analysts at Jefferies also cut their price target on Snap Wednesday. The downgrades come following yet another high-profile executive departure at the company. Snapchat disclosed earlier this week that chief strategy officer Imran Khan, a former Wall Street analyst, was leaving. Snapchat has recently made controversial changes to the design of the app, alienating many core users including some top celebrities like Kylie Jenner. Snapchat debuted on the NYSE in March 2017. But the stock has gotten crushed since then. BTIG’s Greenfield suggested that it will be tough for Snapchat to regain momentum. He doesn’t believe Spiegel has what it takes to turn things around. “We have been disappointed in Snap’s product evolution (as have users) and see no reason to believe this will change,” he wrote. Investors’ worries about increased regulation of social media companies aren’t helping either. After Twitter (TWTR) CEO Jack Dorsey and Facebook COO Sheryl Sandberg appeared in front of the Senate, Twitter’s stock has plunged along with Snap.